The International Federation of American Football (IFAF) and hosting American Football Bund Österreich (AFBÖ) from Austria have drawn the groups for next year's 4th IFAF World Cup to be held at Innsbruck, Graz and Vienna from July 8 to July 16, 2011. Of the three European contestants, France and Austria will face each other in the preliminaries on July 13 in the game that concludes group play in group B at Graz. Other opponents for France and Austria will be Canada and most likely Japan, which is heavily favoured in the outstanding qualification game against Korea. For European champion Germany there will be another encounter with defending world champion USA in the preliminaries on July 10 at Innsbruck. Mexico and Australia are the other two teams in group A. The USA naturally were entered into the draw as the top seed following their first World Cup title in 2007, when they first sent a team to the IFAF flagship event. First reactions from Germany indicate hopes to repeat qualification for the Bronze Medal game by targeting possible wins over Australia and Mexico, while in Austria and France the mood was mixed. Both avoid playing the hot favourites from the USA, which on one hand even might give them a shot at the final game - however they most likely would need to beat both Japan and Canada to accomplish that feast. 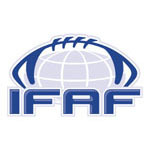 The fourth IFAF World Cup is the third to be held in Europe, which is the continent with the most member nations organised in IFAF through EFAF. Former World Cups at Palermo (1999) and Frankfurt/Rhein-Main (2003) were won by Japan, which only lost in overtime to the USA in 2007, when hosting the World Cup at Tokyo. Germany won two Bronze medals in 2003 and 2007 continuing the series of all-European Broze medal games for all of the World Cups with a game against Sweden. With all the ongoing initiatives in the top European nations of recent years because of EC 2010, which set a new level in EC history with its final games at Frankfurt's Commerzbank-Arena, and the upcoming World Cup the European teams should be even stronger contenders this time and - at least in their opening games - could benefit from the advantage, that this year's World Cup will be played in their own timezone. Of the three European teams in World Cup 2011 the hosts from Austria are novice on World Cup level, but used this year's EC to prove that it would not have needed the hosting privilege to qualify for a spot amongst the top eight in the world. Germany and France for the third consecutive time made it to the final tournament. While France is still waiting for its first World Cup win (fourth and sixth place in 2003 and 2007), Germany on both occasions won the game for third place (37-6 vs. France in 2003 and 7-0 vs. Sweden in 2007). In 2003 the Germans lost their semifinal against Mexico by just a narrow margin (17-21), but since then have boosted their national team program remarkably - so things may run better this time, when they face Mexico in their WC opener on July 8 at Innsbruck. Like Germany and Austria the French have heavily invested in their national team in recent years - the target for „Les Bleus“ will be to overcome Japan for the first time and take revenge for their two past WC games against „Nippon“ in 2003 and 2007, which were lost by 6-23 and 0-48 respectively.